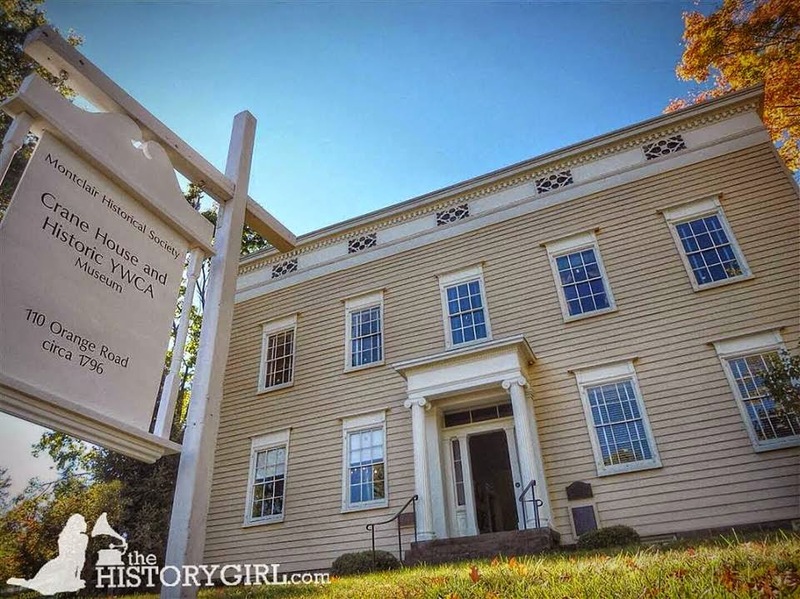 Weekend Historical Happenings: 11/22/14 - 11/23/14 ~ The History Girl! The end of harvest and the approach of winter gives us an opportunity to celebrate the seasonal lives lived by our colonial ancestors and the measures they used to prepare for and thrive through the winter's privations! This celebration ahead of Thanksgiving also gives us all the chance to embrace the coming holiday season! The hearth at Griffith Morgan House will be warm with a cooking fire and the aromas will fill the room and the heart! A demonstration of candlemaking will help prepare for the darker days ahead. The revelry will be aided by a visit from the pirate crew of The Sea Dogs who threaten to plunder the feast but will also share lore of the high seas rogues and songs of the bounding main! A sale of fresh baked goods, provided by volunteers and friends, will offer to fill those empty spaces at the Thanksgiving table with deliciousness! Finally, this is the final chance this year to get a tour of historic Griffith Morgan House and its museum and hearken to holidays past as they echo in our historic walls! The program runs from 11:00 am - 4:00 pm. 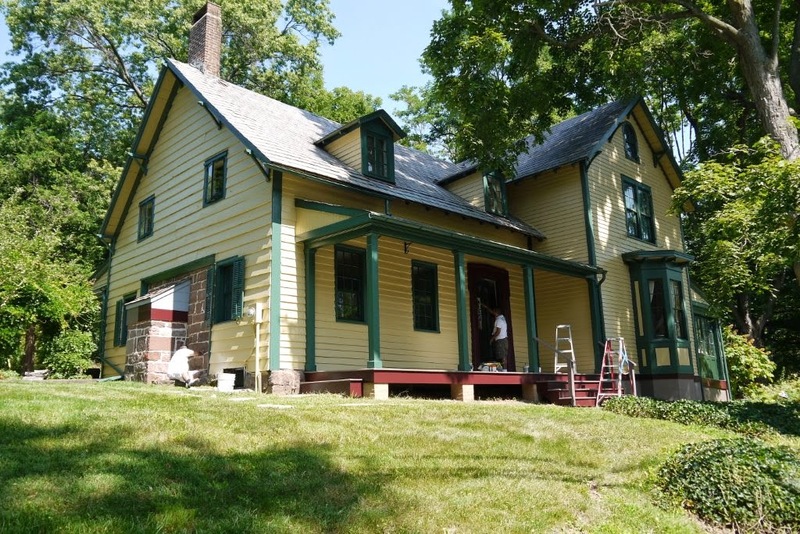 The Griffith Morgan House is located at 243 Griffith Morgan Lane, Pennsauken, NJ. For more information, call 856-486-9561 or e-mail griffithmorganhouse@yahoo.com. The Borough of Fort Lee, the Palisade Interstate Park, the Fort Lee Historical Society, the Fort Lee Historic Preservation Commission, and the Fort Lee Office of Cultural & Heritage Affairs sponsor the annual Retreat to Victory. On Saturday at 11:30 am, the Brigade of the American Revolution will assemble at the Fort Lee Historic Park (Hudson Terrace and Bruce Reynolds Boulevard) and exit the park to retrace General George Washington's footsteps up Main Street. On November 20, 1776, General Washington led 3,000 of his troops up Main Street to escape British capture. Included in that group of soldiers was patriot and writer Thomas Paine who in his American Crisis detailed this event as the times that tried men's souls. The public is encouraged to park their cars at the Fort Lee Historic Park no later than 11:15 am on Saturday and join the Revolutionary War reenactors on a short march to Fort Lee's Monument Park on Palisade and Parker Avenues. There will be a ceremony at Monument Park that will include a musket fire salute. 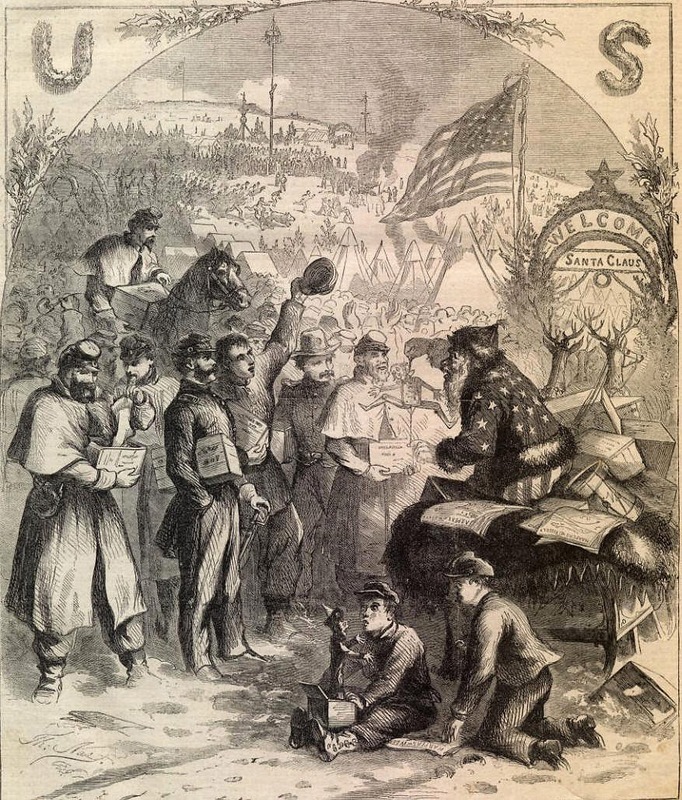 Following the ceremony there will be free donuts and hot cider at the adjacent Fort Lee Museum courtesy of the Fort Lee Historical Society. For more information, call the Fort Lee Office of Cultural & Heritage Affairs at 201-693-2763 or visit www.thefortleehistoricalsociety.org. The annual historical opening of the holiday season returns this year on Saturday from 1:00 - 4:00 pm at the historic Burrough-Dover House. The house, on Burrough-Dover Lane, off Haddonfield Road, in Pennsauken will be dressed for the holidays with tree and greens and ornaments, with holiday music and the aroma of a wood fire in the air, and with the holiday spirit of our volunteer docents offering cookies and warm drinks and hospitality with history! Come visit Pennsauken Historical Society this Saturday and start the season right! For more information, call 856-662-3002 or e-mail pennsaukenhistoricalsociety@yahoo.com. On Saturday from 10:00 am - 4:00 pm, there will be two opportunities for visitors at Howell Living History Farm to participate in two types of auctions: a silent auction; and a live old fashioned barn auction. Goods to be auctioned include tools, household items, collectibles, books, farm products and items made by the farm's blacksmiths, restoration carpenters, bakers, and sewing group. Proceeds from the auction will be used to purchase period furnishings for the newly restored farm house. A furnishing plan for the house was completed through a Federal "Save America's Treasures" grant. On Saturday at 1:00 pm, Author Allen F. Hauss will discuss his book, South Jersey Movie Houses, and the phenomenon of the bygone small town movie theater that touched so many lives in South Jersey. Bring your story! This program is free and open to the public, but registration is requested. Please call 609-267-7111 to register. The program will be held at the Burlington County Lyceum of History and Natural Sciences, 307 High Street, Mount Holly, NJ. For more information, visit www.bcls.lib.nj.us/mountholly. During the Great Depression of the 1930's a group of young men changed Jockey Hollow forever. Join a Park Ranger on this 2.25 mile round-trip hike (about two hours) on the Yellow Trail to discover how these men transformed Jockey Hollow into what we love today while only earning $30 a month! Hike begins at 10:00 am at the Jockey Hollow Visitor Center in Jockey Hollow, within Morristown National Historical Park, Morristown, NJ. Cost: Free. For more information, call 973-543-4030 or visit www.nps.gov/morr. To mark the 238th Anniversary of the "times that try men's souls," the Bergen County Historical Society, along with the Third New Jersey Regiment and Fourth Battalion, New Jersey Volunteers, will co-sponsor a weekend of living history and scholarly presentations on Saturday and Sunday. At 7:00 pm on Saturday, noted military historian Todd W. Braisted, a Bergen County Historical Society Past President, will give an illustrated talk "November 20, 1776: The Great Retreat Begins." Afterwards, visitors may enjoy light refreshments at the Campbell Christie House, along with living history members portraying the soldiers and followers who took part in the Revolutionary struggle from that time. Between 11:00 am and 4:00 pm on Sunday, members of various living history groups, representing both sides of the conflict, will perform military demonstrations, showing the life and times of the common soldier of the American Revolution. Cooking and baking demonstrations will likewise take place in the out-kitchen behind the Campbell Christie House and visitors may tour the historic homes on the site. At 1:00 pm, Todd Braisted will speak in the Steuben House on "Aftermath: Bergen County, December 1776 to June 1777." Some of the Society’s treasure of Revolutionary War artifacts will be displayed. Historic New Bridge Landing is located at 1201-1209 Main Street, River Edge, NJ. $7 adult, $5 children, BCHS members free. Active military and veterans & their families are welcomed free to this event - please bring appropriate ID. Tickets cover both Saturday evening and Sunday afternoon. For more information, call 201-343-9492 or visit www.bergencountyhistory.org. Step back through over 200 years of American history at our historic properties at 108 Orange Road and 30 North Mountain Avenue. Visit the newly reinterpreted Crane House to reflect the YWCA period from 1920 - 1965, check out the farm, and meet the chickens. At 30 North Mountain visit the 1896 Charles Shultz House, home to three successive generations of the Shultz family, the house is a near perfect time capsule, representing an accurate record of late nineteenth century Montclairion society.The site is open from 1:00 - 4:00 pm. Free-will donation. Free admission for members! For more information, call 973-744-1796, e-mail mail@montclairhistorical.org, or visit www.montclairhistorical.org. Calling all house-proud Maplewood residents! Need some ideas for paint colors? This profusely illustrated talk at 2:00 pm on Sunday by preservation consultant and Columbia University Professor Janet W. Foster provides a fascinating look at the materials and colors of historic American architecture. Ms. Foster has wide experience in analysis and research on paints and other finishes used to protect and decorate the homes of Americans from the Colonial era to the early 20th century. This year she collaborated with the Board of the Durand-Hedden House to develop its current new color scheme. Learn how the paint history on this particular house provides a great starting point for examining the trends that made architecture in the past both beautiful and fashionable. The Washington Crossing Park Association of Titusville New Jersey and General George Washington will present a flag flown at the "Crossing" to the Bergen County Historical Society on Sunday at 11:00 am. General George Washington, portrayed by reenactor Sam Davis will honor the Revolutionary War dead at rest in Hackensack, including General Enoch Poor. Washington will also point out the Stueben House, one of his surviving headquarters from the War. General Washington and the Washington Crossing Park Association will present a US Flag flown at the "Crossing" to Bergen County Historical Society in recognition of all their hard work to preserve and present American History to the general public. The presentation will be at Historic New Bridge Landing, 1201 Main Street, River Edge, NJ. 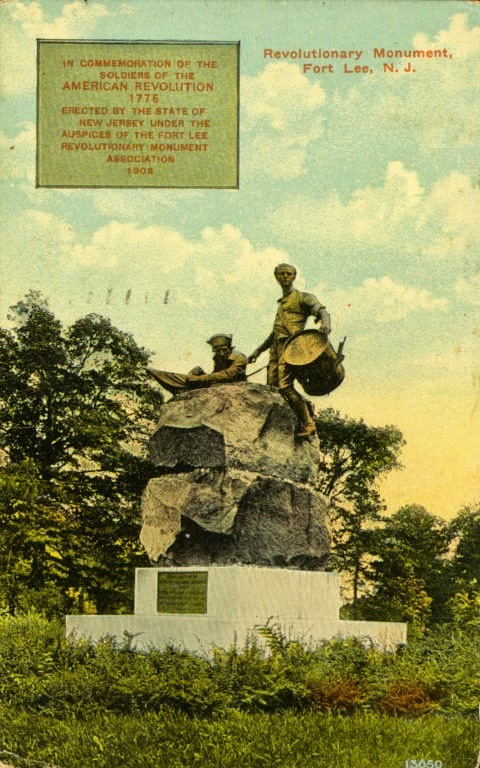 In cooperation with the State of New Jersey, “The Friends of Washington Crossing State Park-New Jersey” strives to provide comprehensive historical, nature orientated, and recreation programs. Washington Crossing Park Association works to maintain facilities and services which respond to changing needs within our communities. The Association strives to preserve historical sites, enhance our recreation resources, protect our open spaces and educate our fellow citizens to enrich their quality of life for present and future generations. For more information, visit www.washingtoncrossingparkassociation.com. 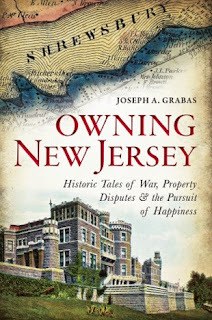 On Sunday at 2:00 pm, author Joseph Grabas will present "Owning New Jersey: Historic Tales of War, Property Disputes & the Pursuit of Happiness" at the Van Horne House in Bridgewater. New Jersey's land records and deeds are unlikely sources for a thrilling tale but reveal some little-known and fascinating history. A detailed story of the founding of the Garden State 350 years ago is preserved in these papers, as is the area that included Morris County. The state's boundaries were drawn in such documents centuries ago, even if the authors never stepped foot in North America. The archives hide heroes, like the freed African Americans who fought for their right to own their piece of the state. Of course, there are the bizarre and mysterious tales, like the silk baron's castle and the assault against a sixteen-year-old maiden during the throes of the American Revolution. 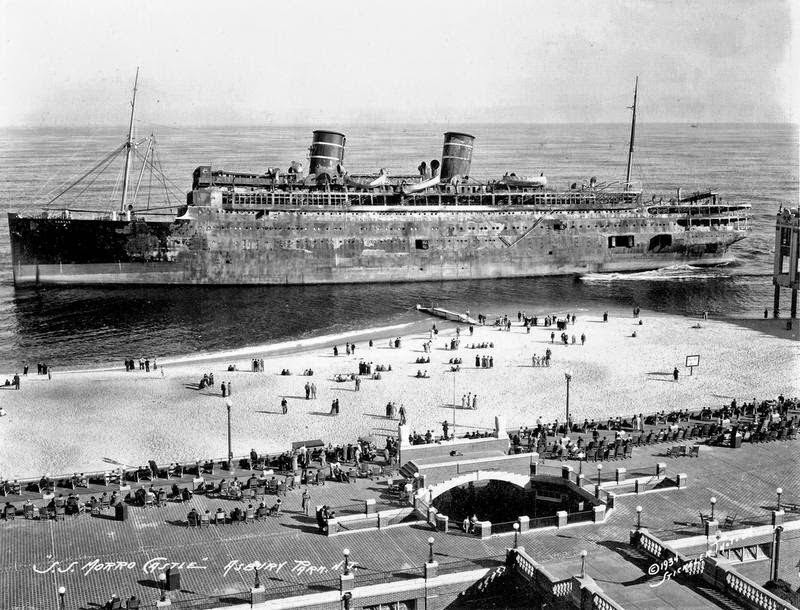 Join land title expert Joseph Grabas as he combs through these all-but-forgotten stories of the pursuit of happiness and property in early New Jersey. Admission is free but space is limited and reservations are required. This program will be held at the historic Van Horne House, 941 East Main Street, Bridgewater, NJ, just across from the Patriots Ballpark. Free parking is available behind Target and at the ballpark. For more information or to register, call 732-356-8856 or click here. Joseph Grabas is an expert in Land Title Research, having examined over 100,000 land titles in five States and all 21 Counties in New Jersey since 1978. He has been recognized by the NJLTA as a Certified Title Professional and by the ALTA as a National Title Professional. Joseph is a Commissioner on the Monmouth County Historical Commission, a visiting lecturer at Monmouth University, and serves on the N.J. Tidelands Resource Council. His historical research focuses on Historic Land Titles, the history of the NJ Land Recording System, Free African American communities in Monmouth County, NJ, Colonial & State Boundary development, and the Colonial and Antebellum history of New Jersey. Joe is the author of Owning New Jersey: Historic Tales of War, Property Disputes & the Pursuit of Happiness, published by History Press. Washington lamented that the women and children of the Continental Army - the families of the soldiers - slowed down the army on the march but he knew that many had nowhere else to go. They often got jobs with the military performing essential tasks needed to keep the army going. Learn about the surprising roles that women and children played in the life of the Continental Army. Program runs continuously from 12:00 noon - 4:00 pm at the Soldier Huts in Jockey Hollow, within Morristown National Historical Park, Morristown, NJ. Cost: Free. For more information, call 973-543-4030 or visit www.nps.gov/morr. On Sunday from 2:00 - 4:00 pm, historic interpreter Mercy Ingraham will illustrate how food was prepared during Colonial times. On the menu will be various kinds of sausage, including fish sausage. Ms. Ingraham will also explain the various methods, as well as the dangers encountered when cooking on an open hearth. Sampling and light refreshments are included. Admission is $10 per person. Reservations are recommended as seating is limited. The program takes place at Peachfield, the Headquarters of The National Society of Colonial Dames of America in the State of New Jersey, 180 Burrs Road, Westampton, NJ. For more information, call 609-267-6996, e-mail colonialdamesnj@comcast.net, or visit www.colonialdamesnj.org. Historic Paterson opens it’s mysterious and fascinating doors to reveal the Lenape community whose ancient and rich history still thrives today. 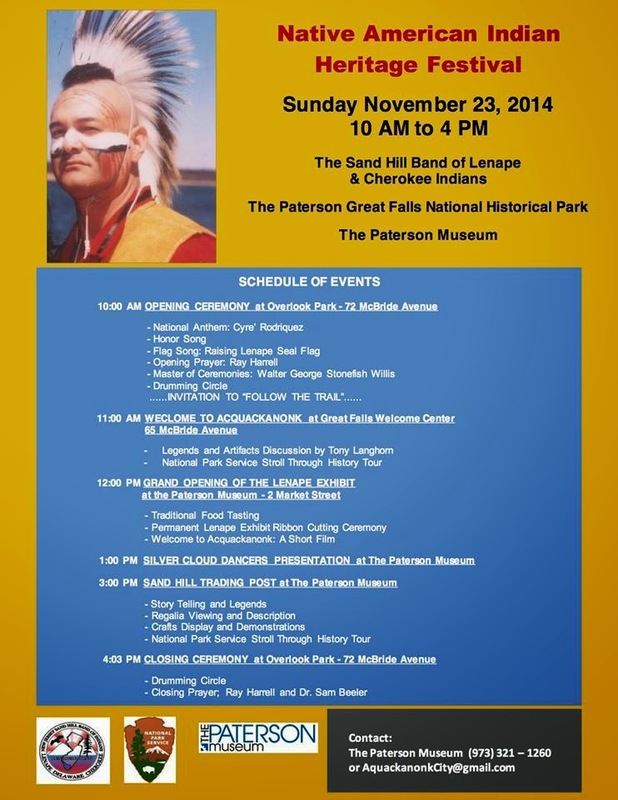 The Native American Indian Festival honors the Lenape whose territory spanned what is now eastern Pennsylvania, western NJ, and western Delaware including Acquackanonk (Paterson). The Sand Hill Band of Lenape & Cherokee Indians are honored to partner with the Paterson Great Falls National Historical Park and The Paterson Museum to bring the City of Paterson a celebration of indigenous Lenape culture. Come to this FREE event on Sunday from 10:00 am - 4:00 pm, at Overlook Park in the Paterson Great Falls National Historical Park, the Great Falls Visitor Center, and the Paterson Museum. Enjoy traditional Native dancing and drumming, Native food, and stories about Native people who called Paterson their home long before the Europeans arrived. Buy Native American Indian crafts and clothing made by traditional artisans and craftsmen. The Festival will occur RAIN OR SHINE! For more information, visit call 973-321-1260 or e-mail aquackanonkcity@gmail.com.